Every parent wants their child to be happy. Happy kids mean happy parents, but how do we foster happiness? Does strength equate happiness? According to Healy, self-doubt and sadness go hand in hand throughout the world. 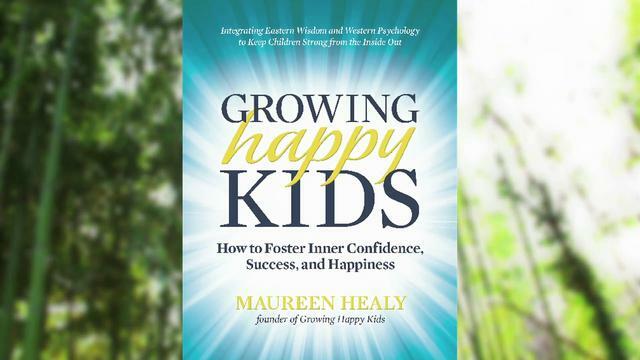 We all want children to be happy and grow into productive, fulfilled adults, and according to parenting expert Maureen Healy, the secret to that success is in providing a foundation of inner confidence. With twenty years of experience as a spiritual teacher and child development expert, Healy knows that confidence is never “out there” but is something to be cultivated from inside.Healy literally traveled the world in search of the best practices in raising inwardly strong children and the connection between inner confidence and lasting happiness. In Growing Happy Kids, she draws on her Buddhist training, her background in child psychology, and the latest scientific research. The result is her insightful model for creating inner confidence and cultivating a sense of emotional strength that lays the foundation for children’s happiest lives.Anyone who touches the life of a child–parents, teachers, school administrators, grandparents, clinicians–will gain wise ideas and practical suggestions for nurturing a child’s sense of confidence and ultimately, happiness. Examining the “confidence-happiness connection”, Healy uses examples of real parents and real children facing common problems, such as bullying. A third way to lasting happiness is learning how to respond to life calmly. Instead of being quickly swayed by negative emotions like anger, your child can connect with his or her calm center and make smart choices when life requires it-like when a beloved pet dies or a sibling breaks a favorite toy. Calmness in the face of adversity…it is something my yoga teacher says when holding difficult asanas. I love Healy’s chart of “Confidence Habits”, such as eating right and creating an uplifting community. The affirmations at the end of the book are lovely. If you read this book, will you be guaranteed a happy child? Obviously not, but it does give parents some food for thought and ideas about how to positively support their child’s social and emotional development. « Is Grandpa’s Chemical Exposure Making You Anxious?